CHAUVET® DJ partners with Numark, Promo Only, Inc. and V-MODA to bring you “The Ultimate DJ Setup” contest — a new Facebook contest guaranteed to change the game for one lucky mobile entertainer by providing them with nearly $2,000 in gear. In an effort to take your setup to the next level, CHAUVET® DJ, Numark, Promo Only and V-MODA teamed together to create the ultimate prize package. One winner will be selected to receive the following grand prize: one CHAUVET® DJ 4BAR™, one CHAUVET® DJ 6SPOT™, one pair of customized V-MODA Crossfade LP headphones, one Numark Orbit wireless DJ controller and a one-year Promo Only Audio Gold subscription. “The Ultimate DJ Setup” contest runs from June 19 – July 19, 2013 and is open to U.S. residents 18 years of age or older. 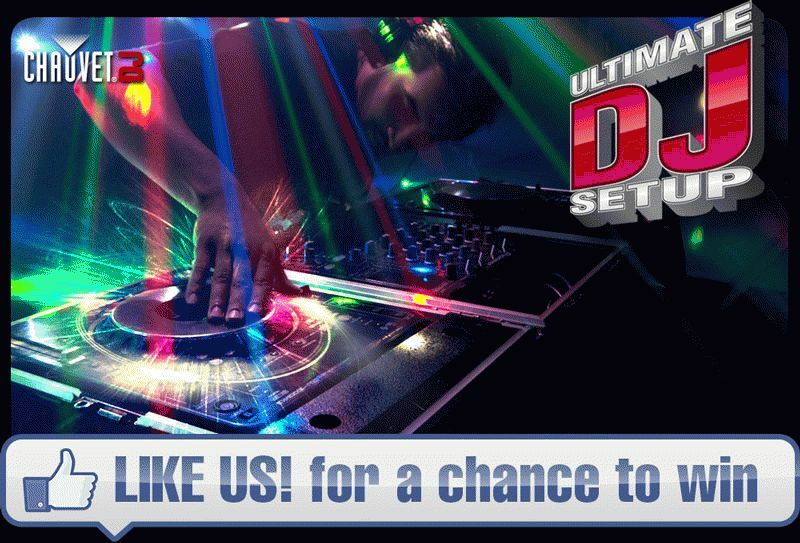 Participants can enter “The Ultimate DJ Setup” contest using the app on the CHAUVET® DJ Facebook fan page and/or mailing in a postcard to Chauvet headquarters. On July 23, 2013, a representative from CHAUVET® DJ will select one winner and announce it on the CHAUVET® DJ Facebook fan page on August 2, 2013. For full contest rules and regulations please click here.